Comments: Used books don't have access codes, ships from U.S.A. 1st Paperback may have wear and/or considerable writing, ships fast!! !, choose expedited for quicker shipping. "[At the task of] bringing the personality of the BEOWULF-poet up from the ocean bottom...Heaney is inspired. His inspiration arises, as he explains in his introduction (itself a profound essay on the poem, and an immediate classic), from a kind of miraculous chiasmus, where the extreme of the known met and crossed the extreme of the unknown....[C]ertain poems create a kind of acoustics within which their translator can better hear his own language, the language for him most saturated with tragedy. Heaney has done just that in this brilliant millennial BEOWULF, just in time for the next century's atrocities. 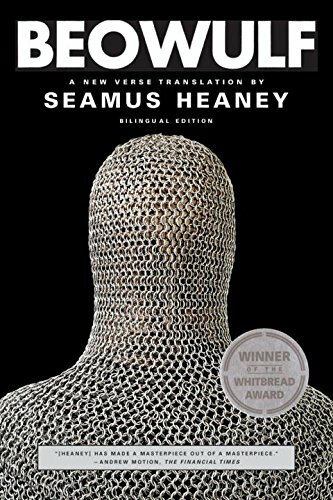 "Heaney, Seamus is the author of 'Beowulf: A New Verse Translation (Bilingual Edition)', published 2001 under ISBN 9780393320978 and ISBN 0393320979. Loading marketplace prices 1006 copies from $0.51 How does the rental process work?